MiniWorld 45, 3-4 April, Sandown Park. Celebrate 45 years of the Mini by leaving your car uninsured for 3 days ?? 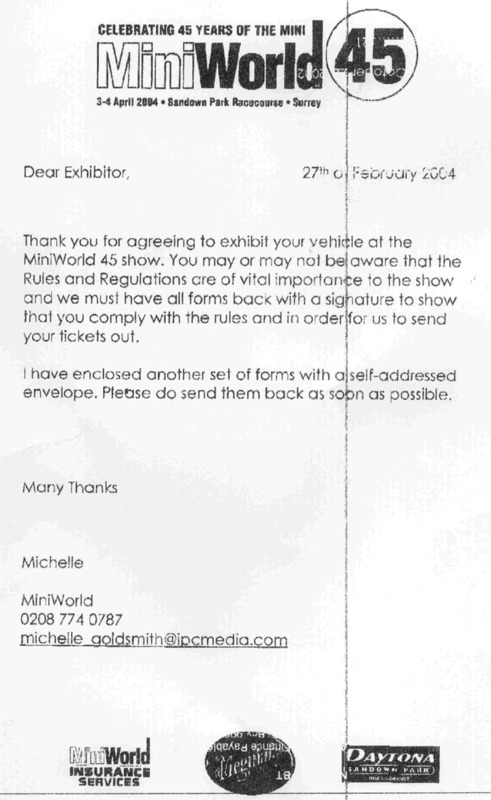 This is just a little word of warning to anyone exhibiting their car inside at MiniWorld 45. Talking to a potential exhibitor, I heard that some of the regulations seemed a little 'iffy' from an insurance point of view. 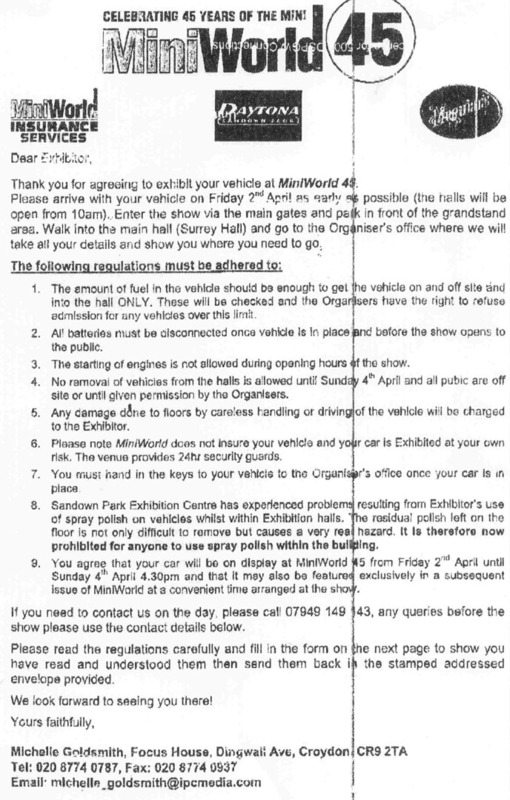 Exhibitors to disconnect their battery (and hence alarm) and hand over their keys for the duration of the show, but MiniWorld will not insure the cars in their care !!! So, I obtained a copy of the rules and regulations, which make amusing reading. 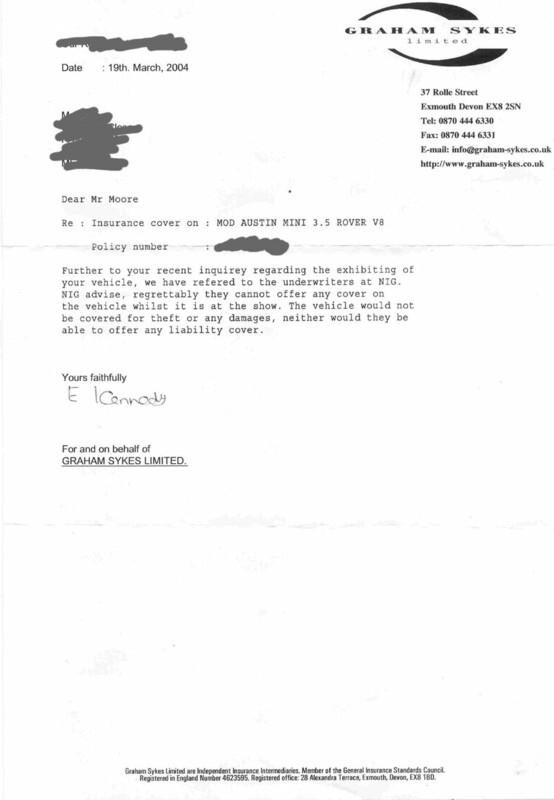 With this in mind I wrote the following to my insurers (Graham Sykes) to see if my car would be covered if I was exhibiting (hypothetically of course!). for the duration of the show (3 days). It was not really much of a surprise when I received the following response. If you are exhibiting, make sure you get written confirmation from your insurer that your pride and joy will be covered !